Talk about a dream job. 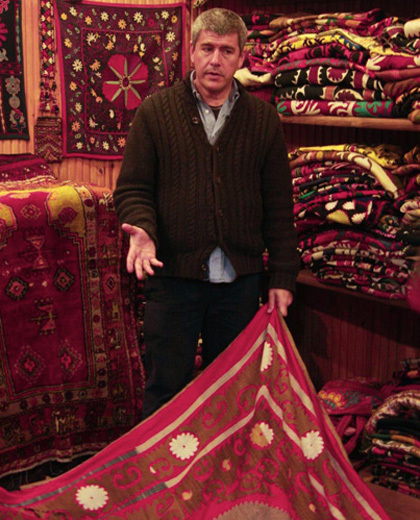 Sundance is about to debut their new show “Man Shops Globe” in which Keith Johnson, women’s store giant Anthropologie’s lone antique shopper, travels the world and finds various vintage goodness to place in the hundreds of stores around the world. Not only that, he occasionally designs his product on the spot, or commissions artists to produce something for him. Watch the previews and just see the treasures he finds in the many corners of the globe. Debuts 10/7 at 10 PM on Sundance.